Currenly taking art commissions in addition to Twitch emotes! Contact me directly at cosmosgirl87@gmail.com if you’re interested in getting some custom work done! 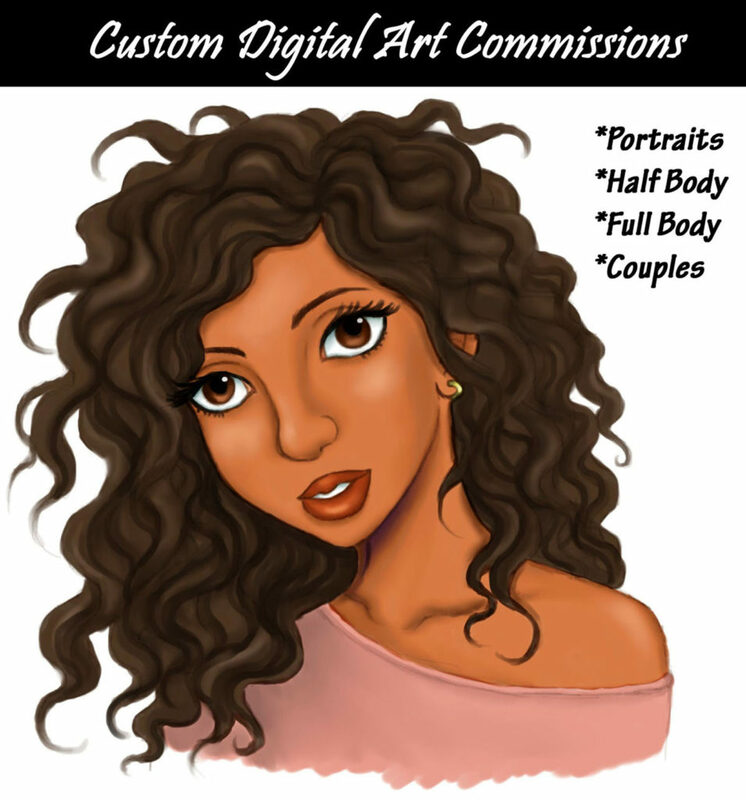 Prices generally range start at $35 for basic digital portraits. E-mail me directly for an exact quote. If you’re looking to have channel art done for you such as headers, banners and art, I am happy to assist you with them. Send me an e-mail at the contact page or a DM on Twitter to inquire. Prices will vary, e-mail me at the contact page to learn more about these services as well as if you’d like to receive additional examples. – You must provide details, references and other materials needed to complete your commission. – You must pay in full prior to the commission being started. – If you’re in need of an expedited order or rush delivery, additional costs will apply. – to receive a custom quote on chibis, loyalty badges and other art, you can DM me via my twitter submit an e-mail to me using the contact form. Be sure to include the word ‘commission request’ in the subject line.